The Clippers are again invited to train at the United States Olympic Training Center in Colorado Springs. This camp opportunity was provided by USA swimming because Coach Norm and Mariah Denigan are on the USA National Team roster. This camp will also serve as a camp that will be focused on distance training and preparing the swimmers for Open Water Nationals in Florida on May 3-5th. Kenady Beil, Will Brewer, Allie Piccirillo, Selina Reil, and Eli Shoyat will be the additional swimmers that are attending camp with Mariah and Coach Norm. This is a great honor for the Clippers to be invited two years in a row to the OTC. We hope to continue this opportunity in the years to come and want to provide as many people as possibility the chance to train at the Olympic training center. Keep working hard and coming to practices, next year you might be one of the swimmers that gets to attend the Clippers camp at the OTC! The Clippers have been awarded a grant to financially support a coach enrichment opportunity. This program is based on the merits of the club and the grant proposal that was submitted. 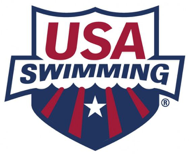 With this financial support from USA swimming we are sending Coach Jake Shackelford to the USA swimming offices in Colorado Springs for Easter weekend, April 19-21st. Meetings are already set with USA Swimming’s Club Development, Club Performance, Paralympic National Team, and Strength and Conditioning Directors. Jake is eager to learn and grow as a coach and bring this knowledge back to help improve the Clippers team. 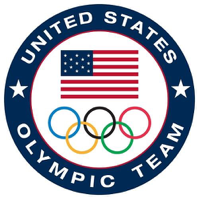 Jake’s trip will overlap with the Clipper swimmers being at the OTC over Easter weekend and all his practices are already covered for the time he is away.